Your Guide to Packing Stylishly for Europe with only Carry-on Luggage. 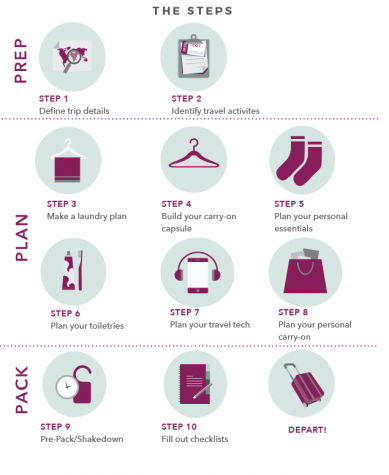 Are you struggling with packing for your European trip? I feel ya, friend. I’ve been there. You get overwhelmed by the thought of packing…………which just leads to procrastination. So, what do you do??? ?…… You wait until the last possible minute to pack. Panic sets in and you end up packing EVERYTHING in your closet and maybe even a few more “just in case” items on top of that. Then during your trip you feel like you have “nothing to wear” despite a suitcase (or two) full of clothes. You don’t have the right clothes for the weather or your travel activities. Does this Sound Like You??!! Are you a founding member of Overpackers Anonymous? Do you worry that you will look too touristy during your European trip? Do you just DREAD packing in general? Are you tired of Overpacking for every trip? Overpacking for Europe, means that you will have to check your bags. The risk is that your luggage may get lost and you are stuck with just the clothes on your back and what’s in your purse. Overpacking means you will have to lug your heavy luggage around the cobbled streets of Europe. Often up the stairs of pensiones, charming hotels and Air bnb’s with no elevators. Not fun. Overpacking means you can’t take advantage of the super discounted flights throughout Europe because you will be charged excess fees to check your luggage. Imagine being able to travel like a seasoned traveler with just carry-on luggage. Which is 10-15 items of clothing that can provide multiple outfit options for your trip. 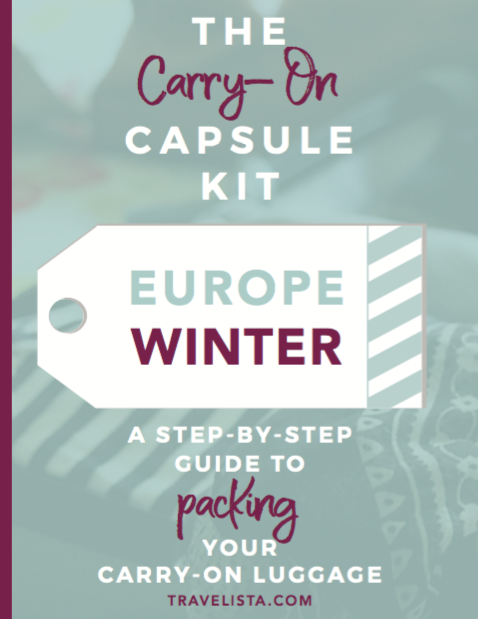 A guide that helps you pack light and look stylish for your European trip. Easy to follow steps so packing won’t be such a dreaded chore. Packing light is a skill! There is nothing wrong with you for overpacking. You just need to know the blueprint and I’m giving it to you. With the Carry-On Capsule Kit, I’ll take you through step by step and at the end you’ll have a fully packed carry-on size suitcase. BUT, What about OUTFIT OPTIONS! When you have a mix and match travel wardrobe the outfit options are practically endless with the right plan. A thoughtfully planned out carry-on capsule wardrobe can take you from 7 days to 7 weeks of travel! BUT, I can’t mix and match to save my life! 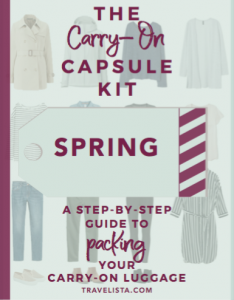 I offer you FOUR other methods of planning your carry-on capsule kit and Bonus material that includes sample capsules and travel outfits. You may even have fun coming up with new and different outfit combinations out of your travel clothing items. What?! Packing is going to be fun?! Yes, YOU GOT THIS! Imagine being able to walk confidently off the plane with only carry-on luggage. Imagine not worrying about forgetting things. Imagine being a better, smarter, lighter packer. Imagine a travel wardrobe that you love! I’m Josie. I’ve been traveling internationally for over 16 years. Believe me, I’ve made every travel packing mistake there is! I’ve also learned some lessons along the way as well. I learned that you don’t need to pack half your closet to enjoy your trip and that it is possible to look great with fewer clothes. I’ve shared this knowledge on my blog, Travelista.com, for the past 7 years. 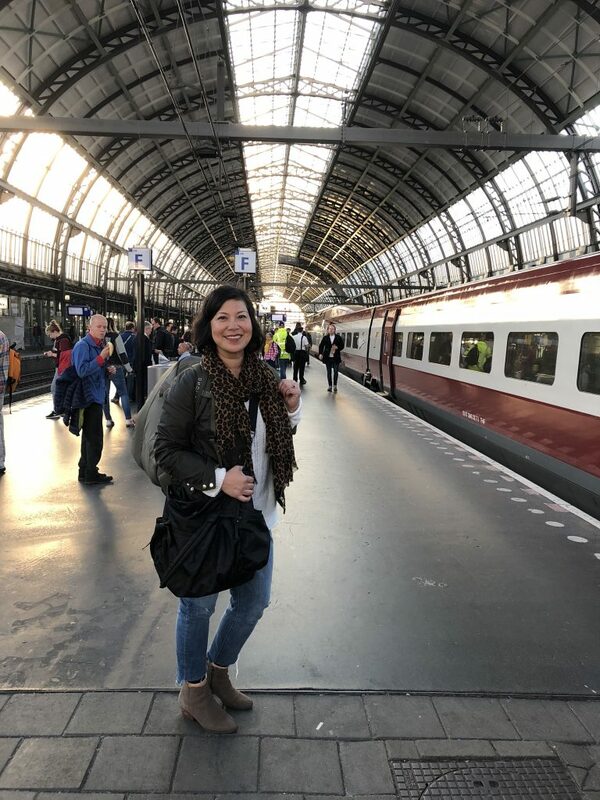 My goal is to help is to help you pack with confidence and ease so that you can enjoy the freedom of packing light and focus on the joy of travel. 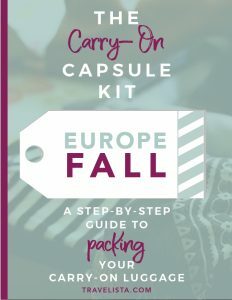 The Carry-On Capsule Kit is for anyone new to traveling to Europe or anyone new to traveling with only Carry-On luggage. Maybe you’ve already tried traveling with Carry-On luggage but you just want to be more organized and tactical with your packing process. I created this kit to give you all the tools and information necessary to confidently pack your Carry-On luggage. You will also receive a Bonus Book with sample capsules and travel outfits. 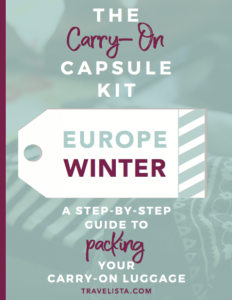 There’s also tips on how to pack when flying discount European carriers. You are overwhelmed and don’t know where to begin packing for your trip to Europe. You don’t want to worry about lost luggage. You are traveling to several destinations within Europe and don’t want to be loaded down with luggage every time to travel from city to city. You want to feel confident in your travel wardrobe. You want to feel organized about packing with checklists. This is not for you if…. You are ok with a chance of losing your luggage. 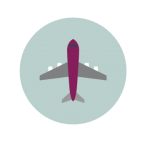 You are ok with paying excess baggage fees on discount European airlines. You are ok with packing “all the clothes” and even a few extras and hoping for the best. You don’t mind lugging large luggage throughout Europe. You are ok with packing at the last minute. You are ok with slowing people in your group down because you move slow with your heavy load. You are ok with forgetting things. I'm Ready for my Kit Now!